Sydney-based consultancy Frost has worked with ad agency Droga5 to develop a new identity for Australian food charity OzHarvest. 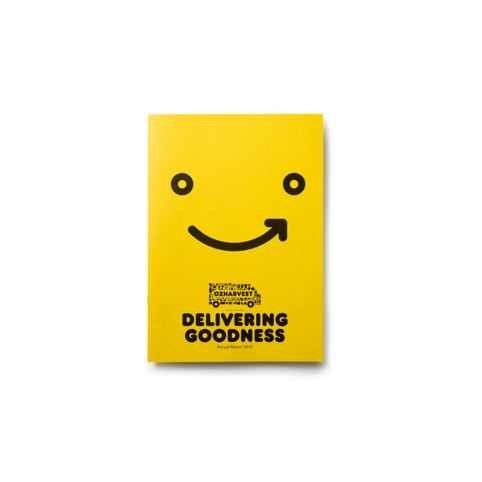 Ozharvest is a charity that distributes excess food from restaurants and retailers to charities across Australia, delivering nearly 500 000 meals a month using a fleet of 15 vans. The identity uses images of food items to create a van shape, and the Frankfurter typeface is used, in what the consultancies describe as a ‘cheeky nod’ to the nature of the charity. 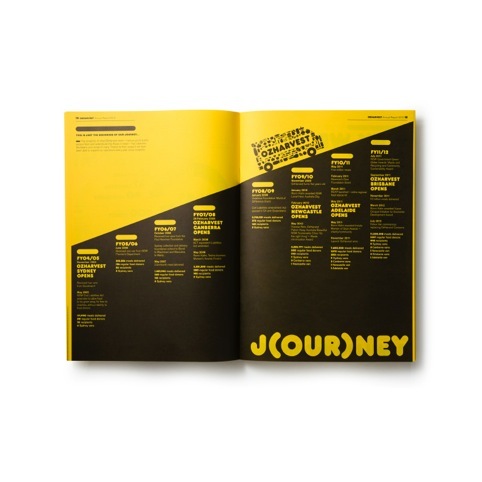 Branding uses the distinctive yellow colour of the vans – as seen in the charity’s annual report, which also features data presented as infographics and text shown as typographic motifs. Frost and Droga5 say the branding, which was developed as a pro-bono collaboration, is based around the concept of ‘nourishing our country’.